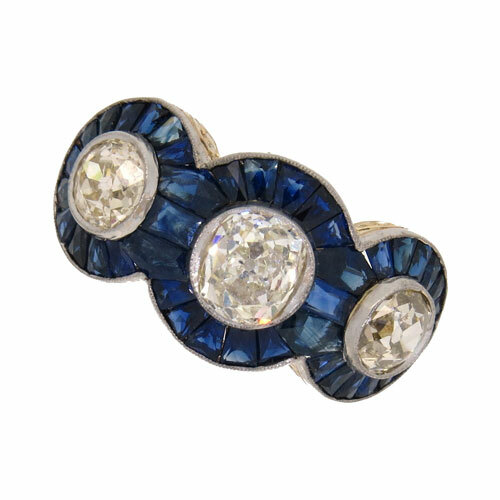 A Stunning Art Deco Sapphire and diamond half hoop ring. 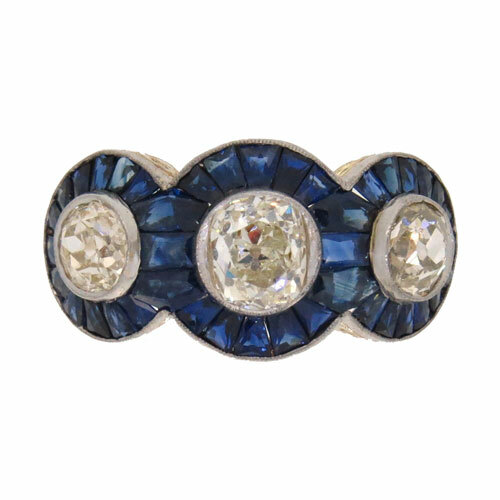 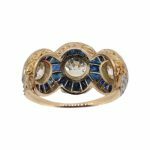 The three graduated fine quality old brilliant cut diamonds are surrounded by 41 calibrated sapphires a superb feat of craftsmanship in a rubover setting with carved claw edge. 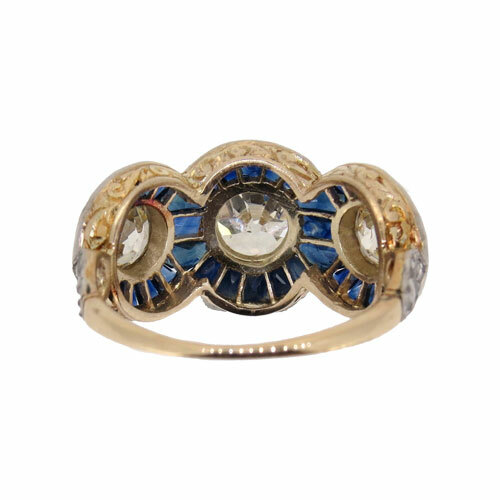 Tested as 18carat gold and platinum.